Secure transmission of your personal information is of utmost importance to our company and that's why we have taken steps to ensure that we have the most secure method of transmission on the Internet today… Our online ordering process uses SSL (Secure Sockets Layer) and 128-bit encryption for transmission of data between your web browser and our web server which provides for the highest level of protection from tampering and eavesdropping. 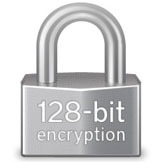 128-bit encryption is considered so secure that Cryptographers consider it impossible to crack, as it would take millions of years with the fastest computers to try all the possible key combination. There is a no safer way for your personal information to be transmitted. In fact, both the Canadian and the US Governments use 128-bit encryption for transmission of sensitive data… The Iditarod Website (www.iditarodalaska.net) uses GeoTrust for its SSL and 128-bit encryption.